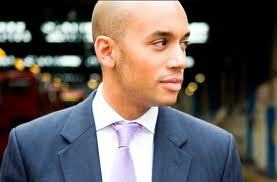 Nigerian MP Chuka Umunna Tipped to Be British Opposition Leader | What Next..! He dislikes being called Britain's Obama. 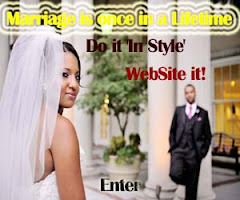 He downplays the shared features that prompt many to compare him with the first black president of the United States. Yet he vigorously pursues a career that he hopes could ultimately make him the first black prime minister of the United Kingdom. Chuka Umunna, the good looking 33-year-old half-Nigerian half-British Shadow Business Secretary, is a rising star in British politics. Some of the country's leading newspapers are already tipping him to be the next leader of the opposition Labour Party. Earlier this month The Sunday Times ran a story and features on him, variously describing him as "clean-cut Labour star", "popular" and "tasty". It is worth noting that the paper is known more for running exclusive stories about under-hand deals than for promoting politicians. One of its reports in October 2010 ruined Amos Adamu's FIFA career after "exposing" his alleged money-for-vote scam. But it is soft on Chuka Umunna, though with a caution. "He is young, handsome and tipped to be the next Labour leader, but in his past lie some youthful indiscretions and the mysterious death of his father," it blares. The "indiscretions" relate to the fact that he took marijuana when he was young; and the "mysterious death" had to do with his father's demise in an unexplained car crash. Both were handled with sympathetic tones; and are among the experiences resembling Obama's. But the key areas of comparison with Obama are far stronger and wider than those. "Not only do their names have identical syllable counts, but they're also both good-looking, mixed-race lawyers-turned-politicians of the centre-left," notes Tim Walker of the Independent newspaper. They both have African fathers and white mothers (with Irish ancestry), adds blogger Harry Mount in the Daily Telegraph. Mr Umunna's story is as colourful as his rapid rise in politics. His father was an Igbo trader who reportedly sailed from Nigeria to Britain. "My father arrived here after a very long journey on a boat from Nigeria in the mid 1960s," Umunna told a youth gathering in London. "When he arrived at Liverpool Docks he had a suitcase and no money. A random stranger lent him the cash to pay for his train fare to London where he was due to take up lodgings with friends. "Once settled in London, he did various jobs. He washed plates in kitchens and he washed limousine cars too," he said. "Within 15 years he worked his way up from arriving with nothing to running a very successful import and export business doing trade between Europe and West Africa, selling all manner of goods until his death," he added. His mother, an English-Irish woman, is a daughter of a High Court judge, who had once worked as a prosecutor at the Nuremberg trial of the Second World War's suspected criminals. A union between a struggling black immigrant and a white daughter of a judge was unlikely; but it happened, though both sides of the family had initially disproved of it, Umunna revealed. "In an ideal world on father's side, I think if he'd found a good Nigerian wife that would have been viewed as preferable," he told The Sunday Times. "On my mother's side there was a bit of concern about what will this mean for the children, how will they cope with dual heritage? But when my sister and I arrived those concerns just dissipated. It sits very easily with us." They were brought up in Brixton (south London), once known for its poor black population and riots but now partly becoming middle class, with the Umunnas being part of the latter. Their parents sent them to good schools. After attending Church of England primary school in Brixton, young Chuka went to St Dunstan's, an independent secondary school in Catford in south London. He studied law at Manchester University and began to practise at the City of London before he gave that up in favour of active politics. He had joined the Labour Party way back in 1997 while at university; established good relations with some of its leading figures; and has been promoting the party among ethnic minorities, using an online political magazine TMP which he edited. Good press coverage, apparently helped by his cultivation of the media and his exotic background, might have enhanced Mr Umunna's current profile; but it was his election into the British Parliament in 2010 to represent his Streatham Constituency that really put him on the limelight. In the two years since becoming a Member of Parliament, he has got many roles and promotions. He was selected to serve in the Treasury Select Committee and appointed Parliamentary Private Secretary for the Labour leader Ed Miliband whose leadership bid he had earlier supported. Later he was appointed Shadow Minister for Small Business and Enterprise and in October 2011 promoted to his current post of Shadow Business Secretary. But life has not always been so smooth. His father died when he was 13. He was killed, he said, in a mysterious car crash in Nigeria after losing a rigged election in his home state Anambra. When asked whether his father was murdered, Mr Umunna said: "There was a lot of speculation in Nigeria... I don't really want to go into it, but things in Nigeria don't operate like here. It's not like you're going to get an official post-mortem or a proper police investigation." After his father's death, life became difficult. "I had to grow up very quickly," he said. "I don't think you have a sense of mortality when you're young. But that event meant I really learnt what mortality was. "It shook my faith," he added. "Definitely shook my faith. The question, you know, why my family? But despite the huge loss, my dad left me with so much. I don't think I'd be sitting in this office were it not for him." His mother, who had given up her probation work "to become a full-time mum" when he was born, was forced to look for job again when her husband died. "When my father passed away she had to go back to work, but she couldn't face going back to her old job because she'd been through a massive trauma, and probation work can be quite emotionally draining. So she decided to re-qualify as a solicitor at the age of 46. She became a partner in her firm (last) year, at 61," he told Independent. As a teenager, young Umunna had some experiences with music and marijuana, he admitted. "I've smoked soft drugs. But it's not something I'm proud of," he said, "Certainly nothing beyond marijuana". His drugs confession didn't draw condemnation -- perhaps partly because a growing number of politicians are now coming clean with their drugs past and partly because the practice is now being seen as a strategy of showing the current users that they too can give up drugs and become useful members of society (even an MP or a president). But while comparison with the US president in many areas helps to sustain the hope of his becoming British Obama, in the critical areas that really matter, the growing feeling is that Umunna is simply nowhere near Obama. "I wouldn't say his intellect or oratory matched up to Obama's levels," says Harry Mount. Nor has the British level of racial tolerance yet reached that of allowing a black to be a prime minister.